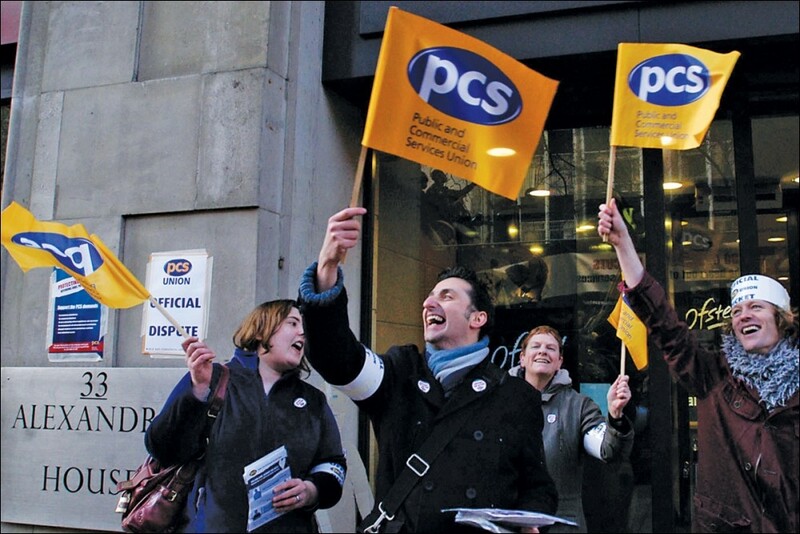 PCS union: vote Yes for action, back socialists in the union elections! Socialist Party member Chris Baugh is standing for re-election as assistant general secretary (AGS) of civil service union PCS. He is the candidate of the union's broad left group, Left Unity. Socialist Party members Marion Lloyd and Dave Semple are also standing for re-election to the PCS national executive committee (NEC). Ballot papers for these elections will be sent out on 16 April. Voting closes on 9 May. Nominations for AGS and the 2019-20 NEC indicate continued support for the current Left Unity (Democracy Alliance) PCS leadership. Chris received 85 nominations from PCS branches - more than the two other candidates combined. We must now work to turn these nominations into votes. The period ahead is vital for preparations for these elections. The Easter break will eat away at the time available to prepare for the ballot. Preparations should start now if they haven't already. It is crucial that we elect a leadership prepared to stand up to the many challenges we face. Re-electing Chris Baugh as AGS is vital to ensure the strongest team possible to fight the Tories and the attacks PCS members face. Immediate among these challenges is the campaign for the union's pay demands, of a fully funded 10% increase (or at least £2,400), with a return to central bargaining. A statutory ballot for action to support these demands started on 18 March and ends on 29 April. A Yes vote for our claim and support for action will enormously strengthen our position in negotiations with the government. But let's not kid ourselves - talk alone is not likely to move the government. We need a serious and militant programme of strike action, centred on escalating national strikes and supplemented with action targeted in departments that can hurt the Tory government. This would also give members the confidence to fight attacks on the compensation scheme, on our pension rights, and against office closures and job cuts - like the strike taking place to save Ealing tax office. The NEC must immediately develop and implement plans for strikes and other actions on a scale that will force the government to take our demands seriously. The Tory government hangs by a thread. A huge Yes vote and a serious programme of strikes and other action can force them to pay up. PCS members at the HM Revenue and Customs tax office in Ealing, west London, are on strike again from 10 to 12 April. We express full solidarity and will see them on the picket lines. Report to follow in the next Socialist.